One of my favourite products from the Stampin’ Up! 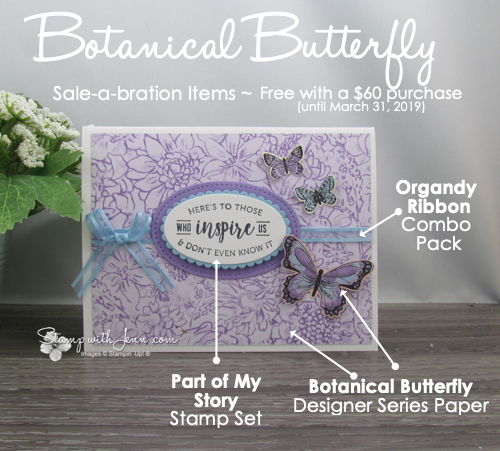 Sale-a-bration promotion this year is the Botanical Butterfly Designer Series Paper. You can get this paper for FREE from January to March 31, 2019 as part of the Sale-a-bration promotion. When you spend $60 on Stampin’ Up! products, you get to pick out a free item from the Sale-a-bration Catalogue. And this beautiful Designer Paper is one of the items. See the full details on Sale-a-bration here. 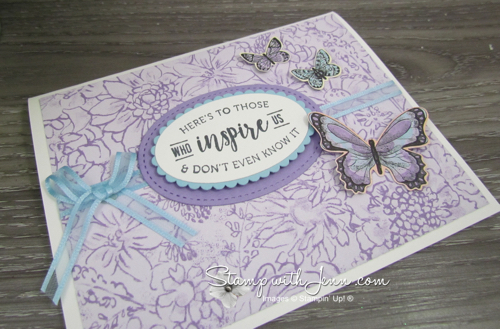 One of the amazing things about this paper is that you can punch the butterflies out with the Butterfly Duet Punch from the Stampin’ Up! Occasions Catalogue. This is how I punched out the 3 butterflies on this card! And the background paper is also from this package of paper. Which makes for a quick and easy card!! I had so much fun making this card, that I made it in several different colour versions, using the free paper for each. Which is your favourite version? 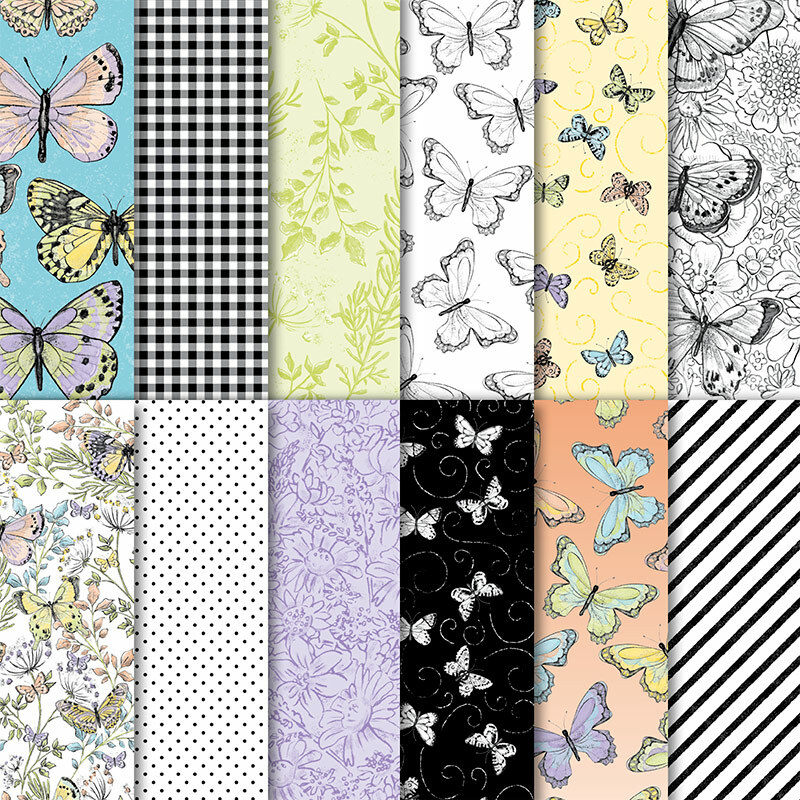 Another reason to love the Botanical Butterfly Designer Series Paper is that on one side of the paper it is just black and white images. You can colour in these images for a custom colour card or just leave them black and white for a stunning neutral look (I’ll share some black and white versions in future posts). 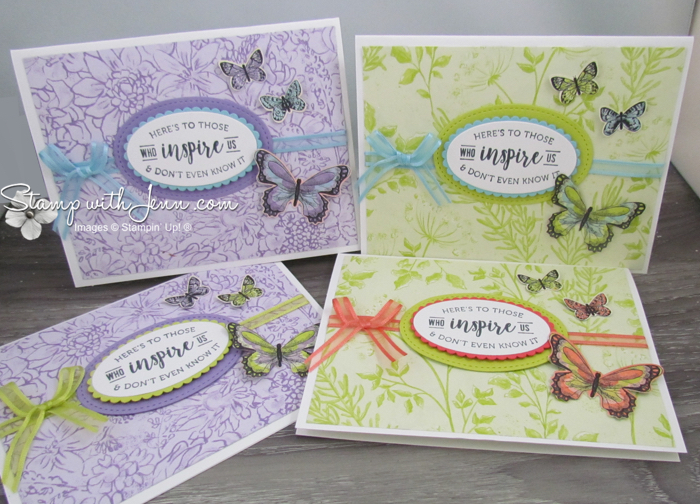 Also on this card, I’m featuring TWO other Sale-a-bration options: The gorgeous ribbon and the stamp set Part of My Story. See all the Sale-a-bration options here. And I’ve paired them with some Big Shot die cuts. See the full supply list at the end of this post. One final item I want to point out is that when I made a card on a white base, I often use the Thick Whisper White Cardstock for the base. It is stronger and stands up better. And then I use Stampin’ Up!’s regular white cardstock for any of the other parts (like the stamped image in the centre of this card.) 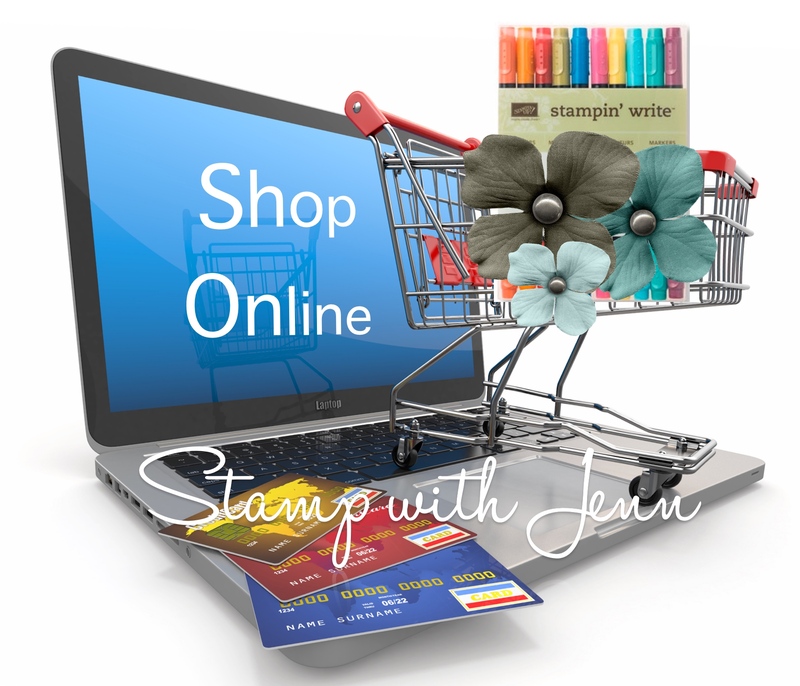 To shop for Stampin’ Up! products, click on any of the images below or HERE.